This is the one you've been waiting for! 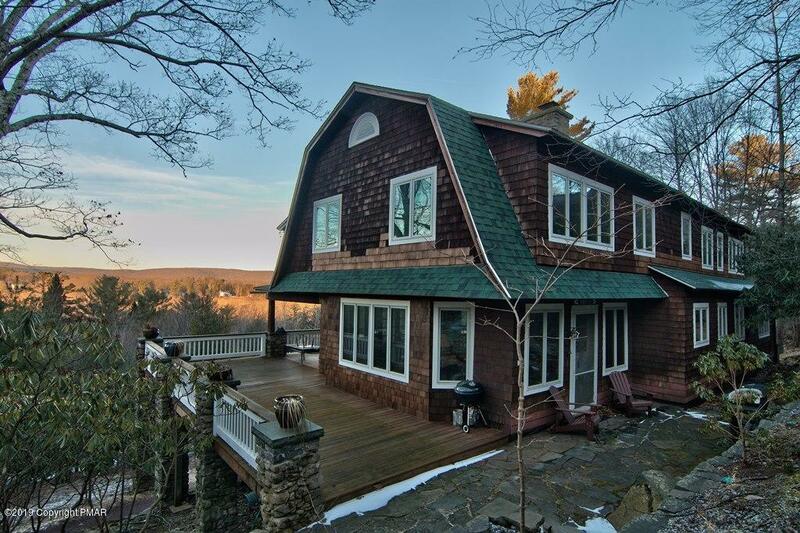 Spectacular views from every room of this traditional ''Old Buck Hill'' cottage loaded with tons of charm. This home features a beautiful wood-burning native stove fireplace as the center of the large living room with french doors to the large covered wrap around porch. There is a formal dining room with built in window seat and door to covered porch. The kitchen features custom cabinets, granite counters, stainless appliances, island and is open to the family room. There is original woodwork throughout. Upstairs are 5 large bedrooms, including a spacious master suite with walk-in closet/dressing room and ensuite bath. New windows, insulation and roof. Buck Hill Falls offers fabulous year round amenities for all ages. 2 hrs from NYC & Philadelphia.